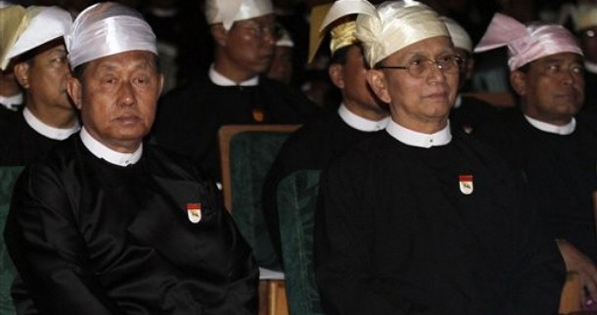 Burmese President Thein Sein has appointed a presidential advisory board, which includes a chief economic advisor who is a close friend of opposition leader Aung San Suu Kyi. According to some of the appointed advisors, the advisory board consists of three committees—political, economic and legal—which will, in turn, be made up of three members each. The economic advisory board will be led by U Myint, a well-known Burmese economist with a close personal relationship with Suu Kyi. Speaking to The Irrawaddy on Wednesday, U Myint said his appointment came after he was called in by Thein Sein for a personal meeting. He described the appointment as a positive step by the new civilian government. He said his first advice to the president would be related to the country's agricultural sector and tackling poverty, adding that he believes the president shares his desire to carry out economic reforms. U Myint, 73, was previously a professor of economics at Rangoon University. He also served as the director of the economics department in the Ministry of Foreign Affairs. Later, he headed the Research Department at the United Nations Economic and Social Commission for Asia and the Pacific. He is currently the director of the Tun Foundation Bank in Rangoon. In a seminar last year, U Myint said that as long as the Burmese government and its cronies were controlling the country's economy, the country would face the same dismal economic situation even in the year 3010. During last week's cabinet meetings, President Thein Sein stressed the importance of building the country's infrastructure and boosting agricultural development—echoing policies frequently espoused by the former military junta in which he served as the prime minister. In the president's new political advisory board, Ko Ko Hlaing, a retired military officer who used to work in the Research Department at the War Office of the Ministry of Defense, was appointed chief advisor. He is currently working on an international news program for the state-run MRTV-4 television channel. The other two members in the political advisory board are Ye Tint and Dr. Nay Zin Latt, both former military officers—with Ye Tint, the managing director of a government-backed printing and publishing enterprise, and Nay Zin Latt, an executive member of the Burma Hoteliers’ Association. Ko Ko Hlaing said his role is to advise the president about international political events, but not domestic issues. Commenting on the US' twin policy of economic sanctions and engagement with Burma, he said mutual understanding would be crucial to establishing good relations between the two countries. He said that Burma will continue to build peaceful relations with all countries, including North Korea. The legal advisory board will be led by Police Col. Sit Aye, the former director of the Home Ministry’s International Relations Department. Many peoples in Naypyidaw talking about U Tin Aung Myint Oo suffering from lost memory, because in the morning he talks some thing then he forgets in the afternoon when somebody comes and asking him same topic he said that he does not remember. In that case how he is going to conduct the meetings in parliament? President Thein Sein has to change rate of Kyats 6 into US Dollar 1 and banking system to be up graded as international standard, if can not do that no way to make business and investment within Burma. ".. his advisors may be also blind. Actually political economic is very different with ordinary economic subjects. Most of Burmese experts are graduated with small and medium industries. " These days, 'International Political Economy' is extremely important for all countries because of globalisation. Burmese economists have no real experience. Quite right, they are not experienced enough. We wonder if they can even read a balance sheet. I think this is one of the most positive step among the new Government changing activities so far. As they say, "One swallow does not make the summer". Appointing Dr Maung Myint as one of the advisers Thein Sein cannot make the system 'civil and civilised'. Knowing his track record I wouldn't put money on him to bring about any meaningful changes. Sure Dr Maung Myint has some guts to speak out when he sees 'nonsensical policies' in the past but at his age and under a similar system of government like Ne Win's BSPP government we should wait and see. The goodness of the pie is in the eating, didn't they say? "He said that Burma will continue to build peaceful relations with all countries, including North Korea." Dear Ko Ba Kaung, why North Korea was mentioned unnecessarily??? Dr. U Myint is a gentleman and scholar. I met him my first week in America at the University of California, Berkeley, where he was in the process of defending his PhD Dissertation. The removal of American economic sanctions is a political, not economic, issue. Release of all, not some, political prisoners is a non-negotiable issue. We have the votes, the apologists of the junta do not. The Myitsone Dam project is a disgrace. All the electricity will be exported to China while creating an environmental disaster in Burma. As a trained economist, you know it has no income and employment multiplier benefits for Burma. The Myitsone Dam problem must be addressed in a civilized and legal manner. U Myint thinks positive, but we think negative, this is just magic trick, Thein Sein group want to get international credit. The President appears to be trying to be as good as he said. But in Myanmar, advisors are normally sideliners, not normally equipped with research facilities and allowed little latitude in, and full utilization of, their advisory capacities. But this opinion of mine probably is a premature thought, as we will need to give it time to turn round to good things. I wish the President every success, if he were to attempt to come to terms with realities, not in their institutionalized paranoiac mentality of the former bosses. Good luck to all advisors for they need to have big long ears to listen the instructions from Thein Sein, who only carry the orders from Than Shwe's office. As far as Junta concerned, there is no Burmese advisor giving any advise to them, except from their Big Brothers in China.